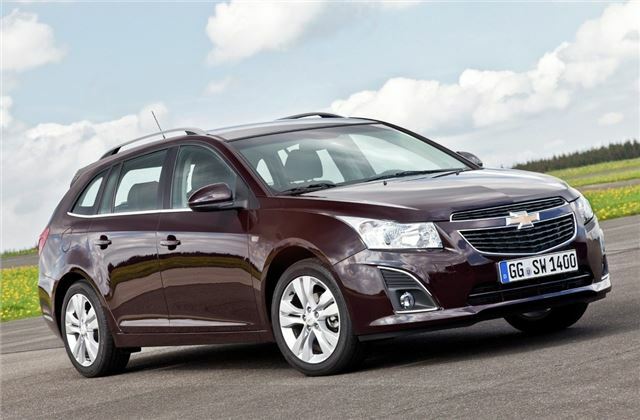 Chevrolet’s final addition to the Cruze line-up, an estate version called the Station Wagon or SW, is due in showrooms this autumn, priced from £15,375. The Cruze SW offers a practical 1478 litres of loadspace with the sears folded down. Three trim levels are offered, LS, LT and LTZ. Entry level LS models come with a 1.6-litre 124PS petrol engine, air conditioning, electric windows, roof rails, a 12v charging point in the boot and remote central locking. Mid-range LT models feature parking sensors, cruise control, alloy wheels and a broad choice of engines – 1.6- and 1.8-litre petrols and a 1.7-litre diesel. Top of the range LTZ NAV models come with sat-nav, a seven inch colour display, Bluetooth, reversing camera, automatic lights, 17-inch alloys and climate control. The LTZ NAV is only offered with the 130PS 1.7-litre diesel engine, with a six-speed manual gearbox. A full price list is below. Further specification details, including fuel economy and emissions figures, will be released nearer the time of the launch.